Institute for Family and Child Well-Being, 9780982484012, 206pp. 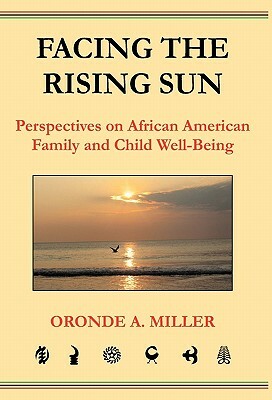 Reflecting on personal and professional ex-periences, Oronde offers a refreshing contri-bution to discussions about the well-being of African American families and children. This collection of essays is a must read for anyone concerned about African American families, and the improvement of this na-tion's child welfare and juvenile justice sys-tems. Facing The Rising Sun begins with an impassioned call to personal and profes-sional activism. In the essays that follow Miller highlights the importance of nurtur-ing families and communities, highlighting the deeper significance and beauty inherent in opportunities to develop families for chil-dren and youth in need. He goes on to de-scribe problematic features of this nation's systems for supporting children, youth and families, while offering a vision for what a set of systems could look like when dedi-cated to supporting and healing children, families and communities. Evident throughout these essays is Oronde Miller's clear love and belief in the transfor-mative potential of African American fami-lies and communities. This collection of essays will both challenge and inspire read-ers to reflect more thoughtfully and critically about the transformative possibilities for this nation's human service systems, as well as our individual and collective roles in the work of healing African American families. Human service professionals, judges and legal professionals, social work educators and students, as well as families will thor-oughly enjoy reading these essays.